Here’s the good news. Most women don’t allow their looks to determine how old they feel, so much so that a 61 percent majority agree with the statement, “I am beautiful at any age.” Yet a striking number of women say that they don’t see themselves realistically portrayed in the media and wish more authentic images appeared in ads. And therein lies the rub. These are just a few of the findings uncovered by a new nationwide survey conducted by AARP. 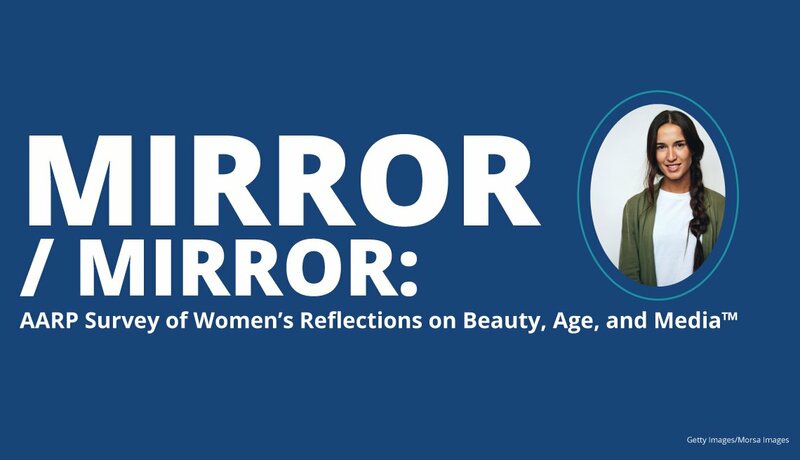 That survey — formally titled Mirror/Mirror: AARP Survey of Women’s Reflections on Beauty, Age, and Media TM — questioned 2,000 U.S. women ages 21 to 72 on their perceptions of the way women are depicted in the media. They were also asked how these depictions inform their self-image, lifestyle and purchasing decisions. 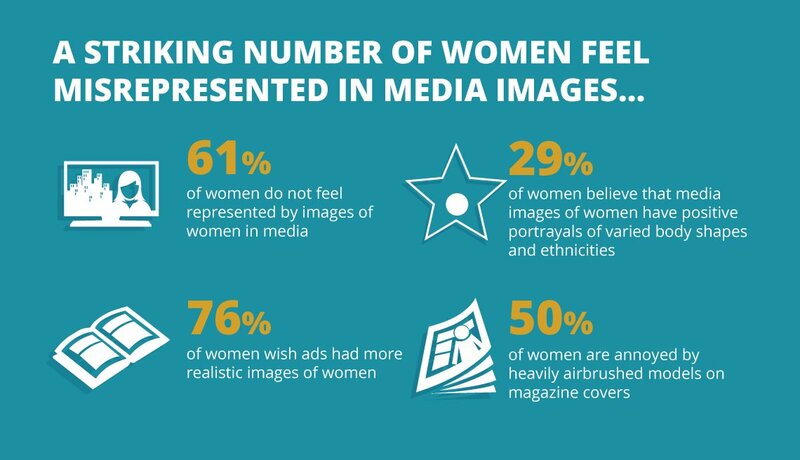 three-quarters of women say they like ads that include women of various ages and wish they saw more authentic portrayals of females. 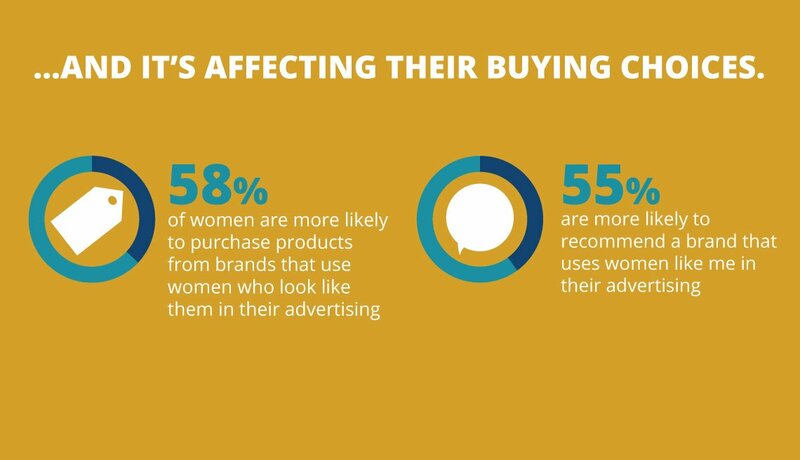 “The results of this survey confirm something we’ve suspected all along: Women want to see themselves reflected in advertising and other types of media in authentic ways, and they’re more likely to buy products from advertisers who use images of women who are a variety of ages,” said AARP Senior Vice President and Editorial Director Myrna Blyth. For lifestyle news, advice and more, get AARP’s monthly Lifestyle newsletter. AARP applauded the magazine’s shift and followed suit with its own announcement. As of August 2017, AARP’s editorial policy was updated to ban the term “anti-aging” in AARP publications, whether online or in print. “Let hope other organizations, media outlets, advertisers and manufacturers take Allure’s cue and drop not only ‘anti-aging,’ but other age-related terms that serve no other purpose than to, well … make people feel bad about aging,” AARP CEO Jo Ann Jenkins said at the time. 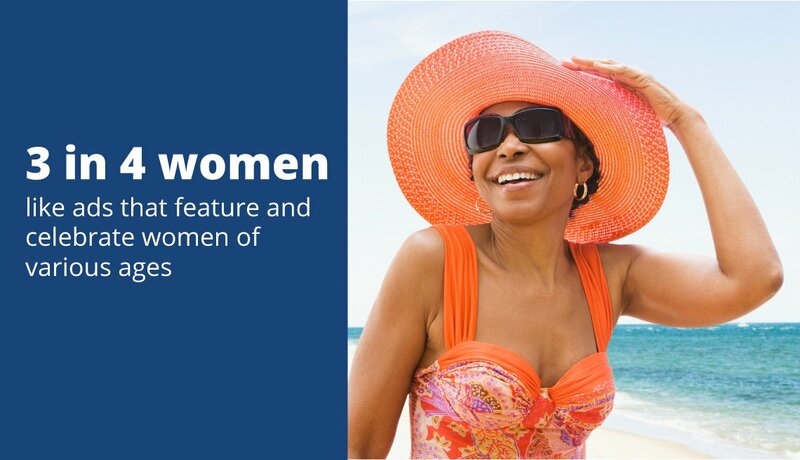 The new AARP survey also found that older women are more comfortable in their own skin than younger generations are. 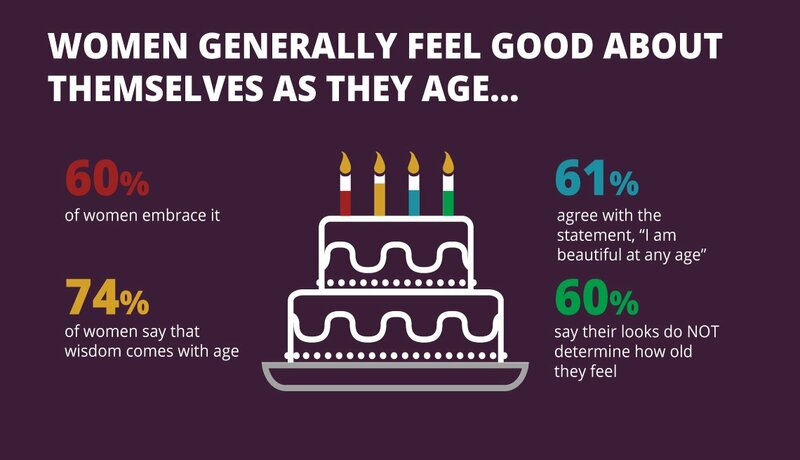 52 percent of boomer women say that they are kinder to themselves about body image as they age, compared with 41 percent of Gen Xers and 38 percent of millennials. 39 percent of boomer women say they celebrate their bodies as they age, compared with 28 percent of Gen Xers and 31 percent of millennials. 27 percent of boomer women have a negative body image, compared with 33 percent of millennials and 34 percent of Gen Xers. 72 percent of boomer women say they feel free to dress however they want, compared with 61 percent of Gen Xers and millennials. Older women also don’t seek validation from social media in the same way many younger women do. For example, 29 percent of millennial women say “my confidence is boosted by getting ‘likes’ on social media,” compared with 21 percent of Gen Xers and 14 percent of boomers. And while 27 percent of millennials say that social media makes them feel insecure about their appearance, only 21 percent of Gen Xers and 11 percent of boomers say the same thing. This makes older women untapped role models in challenging inauthentic portrayals of women in media. But the survey also points to the challenges that remain, as many women of all ages still equate growing older with deterioration. 42 percent of women admit they dread getting older. 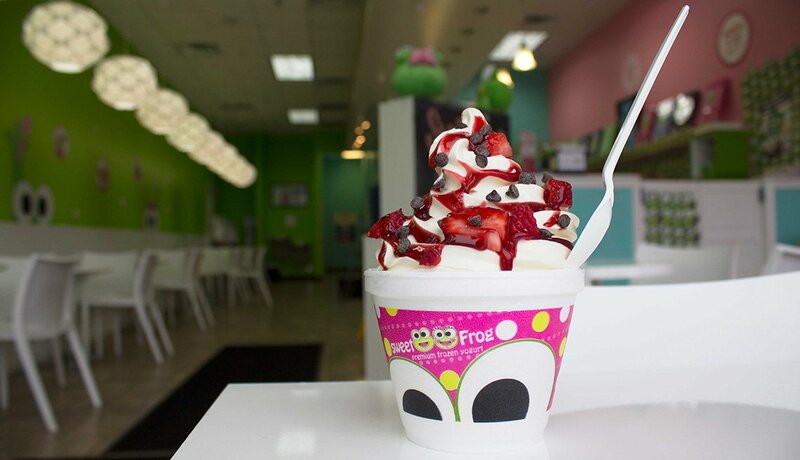 34 percent of women associate aging with gaining weight over time. 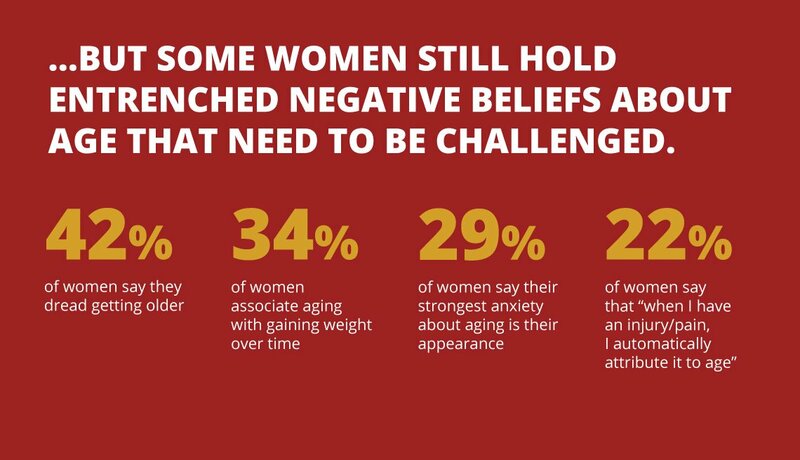 29 percent of women say their strongest anxiety about aging is their appearance. The bottom line: Language matters. That’s why AARP’s Disrupt Aging effort seeks to change the conversation on aging in this country so more people can choose how they live as they age. 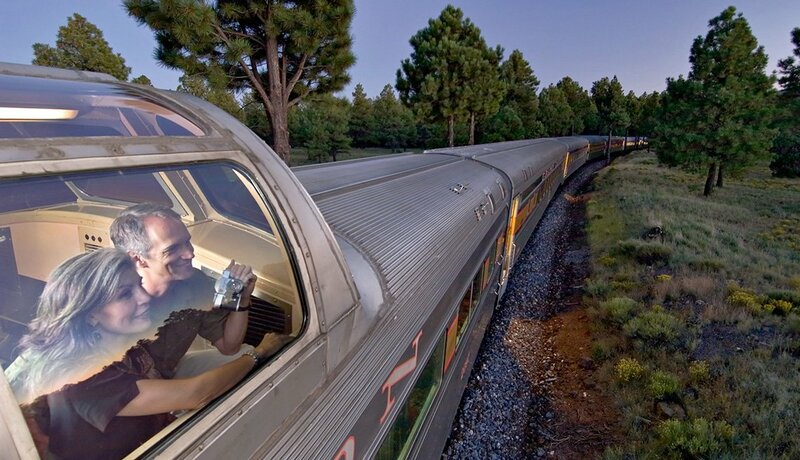 Find out what you can do now to Disrupt Aging.